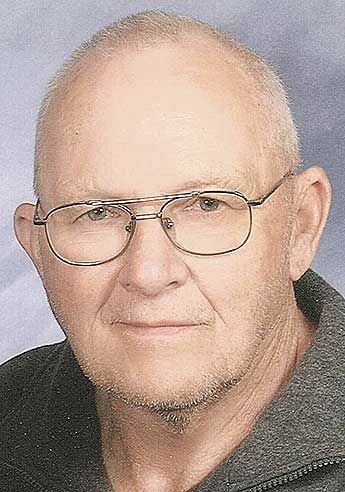 Richard Ardell Mork of North Branch, died Dec. 28, 2018, at Ecumen – North Branch. He was 79. Richard was born Nov. 9, 1939, in Baldwin to Russell and Ethelyn (Lee) Mork. He served in the U.S. Army from 1963 until 1965 in Viet Nam. Richard was employed as a sheet metal worker for several companies. He was united in marriage to Mary Berthiaume on Oct. 16, 1987, in Marine on St. Croix. Richard was a member of St. Bridget of Sweden Catholic Church and a lifetime member of the Forest Lake VFW Post 4210. He enjoyed playing bingo and feeding neighborhood dogs in Lindstrom. Richard was preceded in death by his parents; grandson, Riley Stearns; sister, Sharon Madsen; sister-in-law, Marlene Mork; and brother-in-law, Al Kobs. He is survived by his loving wife of 31 years, Mary Mork; three children from his previous marriage, Pam Orina, Russell (Dyana) Mork, and Peggy (Bruce) Stearns; three grandchildren, Clayton Clark, Dezirae Mork, and Abby Mork; brothers, Jim Mork and Don (Sharon) Mork; sister, Nancy Kobs; also many nieces, nephews, other family and friends. Memorial Mass of Christian Burial will be at 11 a.m., Feb. 1, at St. Bridget of Sweden Catholic Church in Lindstrom. Visitation will be one hour prior to the mass on Friday. Grandstrand Funeral Home handled the arrangements.